Satanism, the carnal religion of reality, individuality and self-honesty, does not have much to say about parenting in its texts. This is because parenting is very much an individual, personal and subjective matter, where the parent's inclinations and instincts would, in any case, override any boring old manual on raising children. But this does not mean that it is a free-for-all. The Satanic Statement number #6 declares that Satan represents responsibility to the responsible and Statement #4 is that Satanists love those who deserve it. In The 11 Satanic Rules of the Earth, number #9 instructs that Satanists "do not harm little children". It does not need to be written that Satanists love their children and want what is best for them. Anything less than that would be a travesty. If neurologists produced a new drug that could reduce child misbehaviour, improve their concentration, lead to better grades at school and makes them happier, all without side-effects, then, many parents would happily spend a lot of money on buying it for their own children. But there is such a magic pill. It is called "spending time with your child". But it's not the easy way, so many will try their best to find an alternate route. That's not the Satanic way! Material goods don't make children happy. The children of impoverished homes are just as happy as those in other homes2. In families where both parents work hard and long hours, and provide an abundance of material goods, the children are less happy and worse behaved, than in other homes. The factor that controls children's happiness is to have a relationship with their parents that includes mutual interaction, playing, encouragement and education. A quiet child that plays on its own contently with little of those other things will very quickly fall behind, and turn into a very troublesome thing indeed. The key to good parenting is to be an interactive parent. Discipline, and strictness, are not dirty words. There is nothing more lazy and selfish than a parent who gives in to all of their child's whims in order to "keep them quiet" or for an "easy life", and there are far too many parents around who do that type of thing3. Not only is this detrimental to the child's development4 as a social and responsible adult, but, it is plain stupidity. Because in the long-term, better-behaved children are much more pleasurable to have around. Have Rules: Be a parent by setting rules. A baby of a few months old should start learning social rules - not to bite while feeding, because it results in the sudden cessation and upset noises from the mother. A child of one or two should know many rules - not to put random things into their mouth, for example, because they will have those things taken off them. And a child of 3 or 4 should know uncountable household rules and know many lines of social behaviour that can never be crossed without immediate rebuke. Be Consistent: Nearly all rules should be quite simple and consistently applied. And, of course, you yourself have to follow them. If the child has to sit at the table when eating, then, you have to sit there too. If the child can't curse and have a tantrum, then neither can you. Half of the rules you set are done so purely by example. Explain Yourself: Do not be a monster5. Every rule is there for the development of the child, not just for the sake of it. Make it so the child knows why the rule exists. Don't dumb it down - think of a good reason, and tell them the reason for the rule6. It is horrible to follow rules without understanding why you're doing it - it breeds malcontent and mindless subservience. You couldn't be a less Satanic parent if you're doing that to a child! Punishments should always include talking sit-downs where the transgression is explained. Punishments should be meaningful. A punishment for misbehaviour around food means you declare that they can't get dessert, or a sweet, or some other routine food that they really enjoy. TV and other things can be withdrawn. If they shout and scream because another child was rightly playing with one of their toys, then, withdraw that toy for a day. And explain that you are doing it so that they will learn to play nicely and that if they do it again, you will take it away for a week. Love Your Child. Periods of punishment are not periods where you dislike your child. Tell them you still love them. Tell them that they are a good child, but, that they've done something wrong. Tell them the act was wrong, but that they are good. Do not make them think of themselves as bad - make them thing of their action as bad. You are only being strict because you love them, not because you are really angry. Be calm, be firm. Do not give in. You are not being a bad parent by being firm. Even in public. You are not being a bad parent if your child is having a tantrum in public. You are only being a bad parent if you give in, and give them something they want (but shouldn't have) in order to make them quiet. If you do that, you have just taught them that when in public, they can get whatever they want by behaving asocially7. That's not how a Satanist teaches their child to be well-balanced. Let them make a racket, and, tell the child that they'll not get whatever-they-want by carrying on like that. The child will learn, and become more wonderful better-behaved if they learn that loud and annoying behaviour never gets them anywhere. Rewarding good behaviour has got to be one of the best parts about being a parent. It is great to witness the joyful and excited happiness of a child who receive an expected reward or one who attains a routine pleasure (for example, weekend TV or a session on a games console). Be excited about things, encourage them in their endeavours, and don't tell them that they are intrinsically poor at anything. All of us are rubbish at everything until we learn to do it well. Children have not yet learned to do things well, so don't hinder that learning process, especially in creative tasks. Be natural! The world is full of people giving expert advice on parenting. A lot of it makes sense. But don't mistake your child for the child. Studies of childhood development are based on aggregate data from many children - your child is not "the" child - but is unique and, given their parents, are probably quite divergent from the norm. 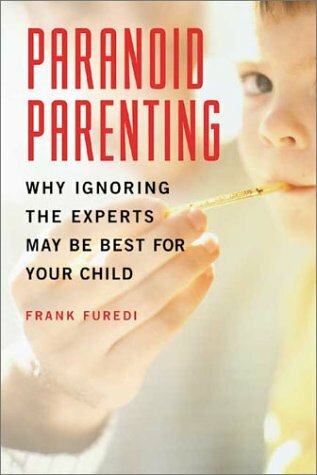 Not only that, but as Frank Furedi in "Paranoid Parenting: Why ignoring the experts may be best for your child" (2002) points out at great length, almost every piece of advice given by experts is contradicted by other experts. Completely contradictory answers can be found to so many standard questions - is it better to leave children alone or to supervise all play? Are accidents and falls are part of normal rearing or a sign of poor parenting? Is letting children play together unsupervised an essential part of their development or is a terrible neglect? Is constant supervision sensible or is does it damage development? Should baby and mother sleep in the same bed? Should we reassure a crying baby at night or does this damages the child for life?8 On all those points, a sensible balance must be sought. If you find yourself on one extreme on the answers to any of those questions, then, bring yourself back towards a central position. Don't force yourself into some strange and obsessive behaviour because of some theory (either yours, or from some expert) about how it "should" be done. Be natural and caring - but don't be a pushover, nor a monster. Sometimes reassure a crying baby, sometimes, don't. Use your instincts because, believe it or not, our species has been doing this "parenting" thing for hundreds of thousands of years completely in the absence of technical advice. Be playful! A playful happy adult, engaging with their child, really is doing the right thing9. They learn more than you can imagine from those sessions10 - how to share, how to take it in turns to control the play and how to cope with losses and gains without annoying the other person. Be natural, drop those stupid inhibitions that society tries to place on us, and just be childish with them. Everything you do can be educational. Explain, sometimes in depth, what bits of stories are about. Teach them things that you don't expect them to remember. Describe the natural world, explore scientific ideas about things they cannot see, from microbes to magnetism. They may not remember any of the specifics but they will learn that the world makes sense and that our senses are not always enough. Make learning fun - be enthused about everything! Nothing is boring, because everything is made of stuff. Everything has an interesting human or natural history. And finally - don't make things too easy. When a baby is learning to move - don't pass it all the toys it wants. In fact, specifically put some of them just out of reach11. They will find a way to get what they want, and it is better that the path they choose is one of self-development and effort rather than one of "I will cry until I get it". Believe me - the differences in development between a spoilt and pampered child and a well-nurtured child start at a very early age! Let them take risks. Encourage them to climb a bit too high on the climbing frame so that they feel that fear. And go out every day and that same thing until your child is as much monkey as they are human. Guess what is best for your child when they have to navigate around obstacles at home and at school? Prior experience. The pre-toddler who has already wobbled up and down the stairs at home 100 times is far less likely to have an accident than the one who has been carried up and down 100 times. "Paranoid Parenting: Why ignoring the experts may be best for your child"
We Satanists highly value freethought, critical thinking and clarity of opinion. See Satanism: The Worship of Truth. It is difficult to know how to teach children to pursue a similar path. We can't tell them not to trust, because they will need to receive and learn from teachers and other responsible adults throughout their lives. There's plenty in life to trust. But we can't send them forth into the world unguarded, where they will happily take in religious stories and myths. Child psychologists Singer & Singer tell us children cannot differentiate between a sales pitch and truth until age eight. But, where there is a will, there is a way. When I am sat down watching TV with my child, during adverts, I make a point of saying "adveeeeerts" in a long drawn-out voice. And I specifically say to him "we don't let adverts control us"... and if he says something looks good, or that he wants something, I say, "but the advert is making it look good - I bet it is rubbish really. Don't let the advert control what you want, they just want your money!" and other preachy comments. Now it turns out that my boy, aged five, has taken this lesson and himself has learnt to apply it in other areas of life - to posters and magazines, for example. He has learnt from his parents to be careful of the context in which information is given. But what about Satanism? Shouldn't Satanists teach their children to embrace the symbol of Satan? It is all but a consensus amongst Satanists that we do not do that. 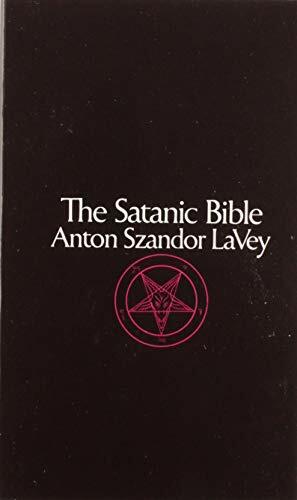 For more, see: "Conversion and Deconversion to Satanism Amidst the Absence of Proselytizing" by Vexen Crabtree (2002). Parents feel a lot of pressure to make sure that their children meet or exceed developmental milestones13,14. Professor Frank Furedi excels at pointing out the artificial and ridiculous lengths that modern parents go to, to try and supply their children with everything that could possibly benefit them - some call it "over-scheduling" or "hyper-parenting". Child psychiatrist Alvin Rosenfeld tells us that parenting has become mankind's most competitive sport15. The result is a modern wave of spoilt children with poor development of emotional control, poor imagination and poor social skills. I'm not talking of rampant materialism, but, of those spoilt by over-indulgent parents. This isn't a feature of "bad" parenting, just of short-sighted and weak parenting. It is not just caused by competitive parenting and daft parents falling for endless child-rearing fads (baby massage, anyone? ), but by the dwindling number of children we all have. In the modern world, we have a moral responsibility to just have one or two children each so nowadays our offspring often find themselves with parents who do not have to divide their attention between 3, 4, or 5 siblings. “When I worked in an outpatient clinic, parents would often bring their kids in with a generic complaint like, 'He doesn't follow directions,' or, 'He's having too many temper tantrums.' There's this label that you can give kids called 'disruptive behaviour disorder' which just means they act out, or they don't follow directions. In 1995, American researchers found that such things as "the terrible twos" are in fact an illusion - it is just that at that age, the first signs of bad parenting have a better chance of manifesting, that it is not a necessary part of development, and it is caused by parents who "failed to work as a team and who were inept at managing a child's budding individuality" and this "create[s] the conditions for violent tantrums"18. All children play up - you can spot it in a one-year-old as much as ain a two-year-old. They try to push boundaries. They can't manage their own emotions - they have little patience, and the slightest element of tiredness can wipe out anything that tempers toddlers' natural selfishness. Or sometimes, they play up just because. Go read the section in this text on discipline to learn how to best guide your child into learning to control their emotions and behaviour, and set them on the road to a more peaceful and happy existence. "Their Name Is Today: Reclaiming Childhood in a Hostile World"
Parents looking for medical and external factors to explain-away their children's misbehavious often seek medical advice19 - and unfortunately, the medical industry is often dragged along. The amount of children diagnosed with ADHD has skyrocketed in recent decades - hundreds of times more prevalent than can be explained by genetics and evolution. The explanation is in culture and, that means, in how parents bring up children. Most diagnoses of ADHD (many of which are asserted by parents themselves) are simply wrong. 4. "My mummy's a witch"
“My son is 12yrs old. He's always been the most down-to-earth, reasonable and polite kid I've ever met. I see you've [member of Satanism-UK] got a couple yourself. I certainly wouldn't have another as I put everything I've got into my son. Yup, he's independantly minded alright. I taught him to speak very early so he was absolutely fluent by the time he was two, and so he's never had a tantrum in his life. Seeing as I taught him to talk I'd better listen, right? [... examples of excellence] I once asked him what it was like before he was born. This was when he was three. He replied "I was like a picture frame with no picture in it." Many a time he has taken my breath away. “I've been very lucky in my life. I have a treasure. Three beautiful and intelligent daughters. ...Satanism is a philosophy of the self. One must come to it uncoerced and unforced. In other words, no, I didn't raise my daughters to be Satanists. How could I choose their paths for them? I had no business saying that my babies were going to be dedicated to the Satanic way even before they had uttered their first word. Unconditional love for the child, but don't let them get away with anything, or misbehave. Love is firm parenting. Giving in to a children's short-sighted wishes is not love - it is taking the easy way out.. Strength of mind and health of body. The basis for the mental health of a child is to know that they are loved, cared for and supported, even when they seriously err. To know that discipline and punishment is consistent and meaningful - that although some actions are inappropriate and draw anger, it never means they are "bad", it is just simple cause-and-effect. I could go on to note that Satanists respect free will (within the confines of responsibility and long-term strategy) and the nature of the free spirit of man and will actively not coerce children into adopting the same philosophical or religious views as their parents. ...Another important factor in parenting is dealing with external influences, such as school. Your kids will be exposed to the propaganda of spirituality whether or not you want them to be. Accept it. Just know that you can only explain that different cultures or people have different customs and views and that while some may belive in X or Y, that you personally embrace the Third Side notion of Z. You are their Mom or Dad...they will automatically listen to your counsel in these matters and be able to draw from your wisdom as they grow and face these questions as individuals. Ultimately, religion is a personal choice and decision...even to be an atheist. All we can do as parents is prepare our young with choices and information. Let them know how we feel and then lead by example. Every Satanic parent wants their child to be... THE BEST. Their child is the most well developed, the cleverest, physically more capable, is active and engaging and is well-mannered and polite. They are firm, they will argue back but will ultimately respect their parents because their parents are fair and firm. In other words... the Satanic child is, or could be, a mythical object of the imagination that is always doomed to fail. Because if you idolize a child and expect such elitist things from them, in order to showcase your own Satanic prowess, then, you are building a glass giant that will fall and shatter. Of course, all parents do similar things21. There are lots of different ways of bringing up children. As long as you avoid extreme fads, over-pampering, too little discipline, or deprive your child, then almost every method of child rearing is as good as any other. Children who are poor at reading at 6 or 7 often go on to master it perfectly well a few years later. Children who start off clumsy and shy are often confident sportsmen. John Bruer says "don't worry about cramming all those music, dance, and sports lessons into a child's early years. [...] The windows of opportunity stay open much, much longer than that"22. If you emphasize education and learning, then the child will be ahead at those things, early. If you emphasize agility and confidence, then, they'll be more physical and more agile earlier. But all these early boosts are poor predictors of long-term excellence. In fact, anecdotal evidence suggests that many of those who learn a skill late go on to be particularly good at it. And there are so many potential areas of development that it is impossible to try to tackle them all. You push in one direction at the expense of another, but ultimately it is all linked23 into one complicated river, surging forwards. It takes a lot to hold it back. A parent of a confident child will think that their confidence will enable them to overcome all other problems. A parent of a child who picks up reading and maths earlier than others will be sure that their child is going to be better than others - just wait until they excel at school and at exams! Parents of children who aren't very confidence nor very good at early learning, will nonetheless know that their child is at least friendlier than other kids - and that's what counts! Because with good friends and a nice personality, everything else will fall into place later. The point is that parents all think that their child is above average in some meaningful way, but in reality, we are all just selecting some traits at the expense of others. To pretend to be able to bring up an elitist Iron Youth is to set an illusion. The Satanic parent is one that loves and nurtures their child as best they can. "Encouraging Magical Concepts" by Church of Satan Priestess Lydia Gage. "Raising Humans" by Witch Tania, in Helle Magazine (2014 Oct 05). SATANIC PARENTING, Sharing Ideas for the Infernal Empire, available from IZM Enterprises, PO Box 353, Maple Park, IL 60151. Edited by Lydia Gage. (2014) Their Name Is Today: Reclaiming Childhood in a Hostile World. Paperback book. Published by Plough Publishing House, New York, USA. This book is "based on Arnold's acclaimed book Endangered: Your Child in a Hostile World (2000)". Book Review. (1998) The Hurried Child: Growing Up Too Fast Too Soon. Published by Addison Wesley, New York, USA. In Furedi (2002) chapter 6, p113. (2002) Paranoid Parenting: Why ignoring the experts may be best for your child. Paperback book. Published by Chicago Review Press, Chicago, USA. This edition is "substantially different" from the 2001 UK version. 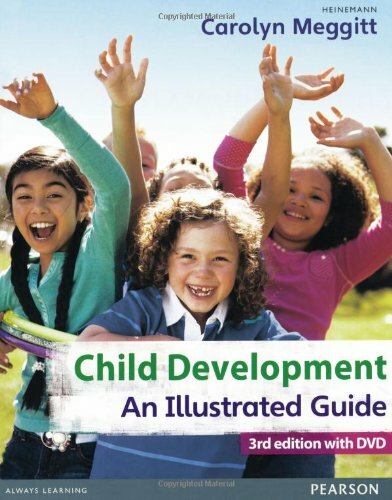 (2012) Child Development: An Illustrated Guide. 3rd edition. Originally published 2000. Current version published by Pearson Education Ltd, Essex, UK. (2001) "The Over-Scheduled Child: Avoiding the Hyper-Trap," Brown University Child & Adolescent Behaviour Letter (2001 Apr). In Furedi (2002) chapter 6, p113. (2000) The Handbook of Children and the Media p375-393. Published by Thousand Oaks, CA, USA. In Arnold (2014) p62.